A driver from Elyria said he's fed up! He's tired of damage to his cars from trucks that don't secure what they're hauling. As we found out, debris falling off trucks is a very complex issue. CLEVELAND — A driver from Elyria said he's fed up. He's tired of damage to his cars from trucks that don't secure what they're hauling. As a News 5 investigation found out, debris falling off trucks is a very complex issue. "I couldn't go left. I couldn't go right. I just had to go over it,” said Matt Jeske. Many drivers can probably relate to him. "I know I'm not the only one that's experiencing this," he said. Picture yourself driving home from work. There are trucks all around. Something falls off like rocks. In Jeske’s case, something else. "A piece of metal flung up under the car and bounced around the engine compartment very violently,” he told us. Damages to his Cadillac amounted to $3000. Matt bought a new car, a Ford Taurus. However, within a week, another headache. “Rocks were flying, and I caught one as you can see right dead smack in the middle!" he said while pointing to the u-shaped crack in his windshield. It happened again. Two cars at the same location at I-480 near the Valley View Bridge. There’s a lot of construction there. Matt's sister Rita Wincek has seen the problems. She's fed up, too. "I think something really needs to be done before it's too late before someone actually gets really hurt or killed,” she said. There are tons of videos on YouTube showing just how dangerous it can be. 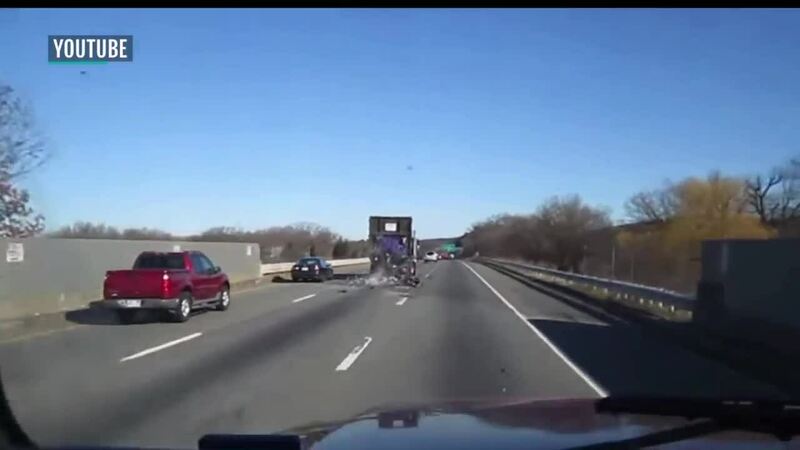 Over and over again, there are examples of things flying off of trucks and hitting cars. Insurance agent John Koetz works with the Ohio Insurance Institute. He said many times trucking companies take a strong stance. "Prove to us that that rock is the exact rock that fell off our truck,” said Koetz. “And it's very difficult for a consumer to do that." If you're all by yourself when this kind of a situation happens, the Ohio State Patrol told us you should never pick up your cell phone while driving. You could make things worse. You should memorize the license plate, the company name, and where you are. But if you have passengers, tell them to get pictures. "To verify that this is how it was actually happening. Sometimes these loads can be very dangerous,” Koetz told us. Personal dashcams are becoming more and more popular. They can help your case. But Koetz said in the insurance world, generally, if something flies off a truck and hits your car directly, then truck drivers are held more accountable. However, if a rock falls from a truck, hits the ground first and then hits your car, you might have a tougher claim. “That (scenario) is more deemed to be a road hazard and not necessarily negligence on the part of the driver,” said Koetz. The state patrol tells us there's no law that says if something hits the ground first, it's a dead issue. There are state and federal laws about securing truck loads, though. In the past three years, the Ohio State Patrol wrote 30 citations in Cuyahoga County and nearly 1,700 in the state. The stats don’t tell the full picture. The state patrol told us many times when people want to report damage from falling objects or road debris, they fail to have the necessary facts about where they were, what truck was used, the plate number, etc. The patrol can fill out a crash report, but without details or having seen the event in person, citations can be tough to write. It didn't take 5 On Your Side Investigators long to find trucks hauling materials in our area having the covers to help secure their load, but the covers were not being used. Koetz suggested if you see problems or have damages, make sure to contact authorities right away with specifics on what happened. “Because they can perhaps affect change down the road for these (trucking) guys,” he said. Jeske wants the state patrol to do more and he wants some change. 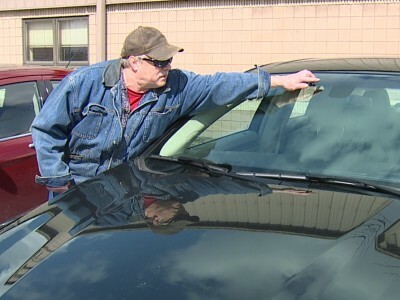 "I'm going to have my windshield replaced and hope it doesn't happen next week," he said. You can take trucking companies to court trying to prove negligence, but if you only had a broken windshield, that process may not be worth your time and effort. Koetz said check with your insurance agent to verify how you are covered in cases like these.